Spoil yourself with a massage at the Spa! 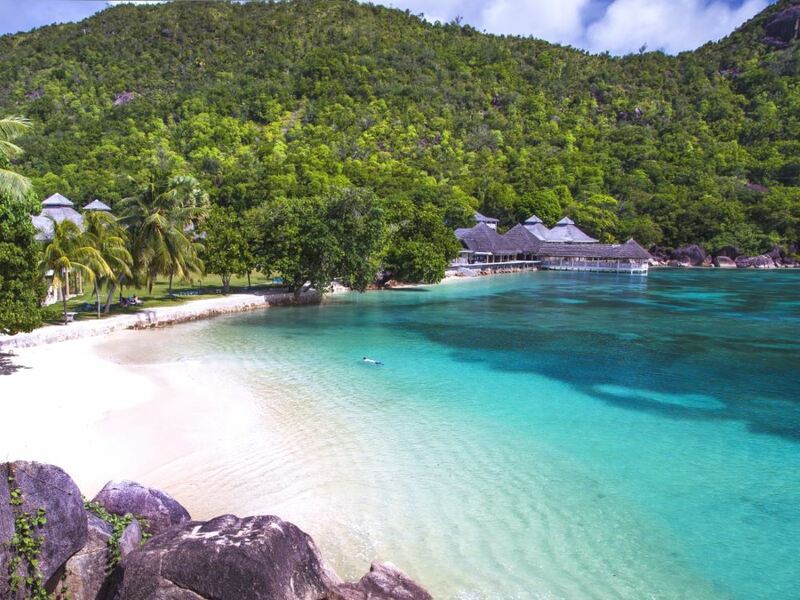 Cerf Island lies just off the east coast of Mahe and forms part of the gorgeous St Anne Marine Park, home to some of the best snorkeling and diving in the Seychelles. There are a couple of other small lodges and villas on the southern shores of Cerf Island which unfortunately overlook the monstrosity that is the Eden Island development – but Cerf Island Resort avoids that fate by being tucked away on the western tip of the island where an air of tranquility and blissful relaxation prevail. So although the island has other accommodation, these are out of sight and you almost feel that you have the whole place to yourself. 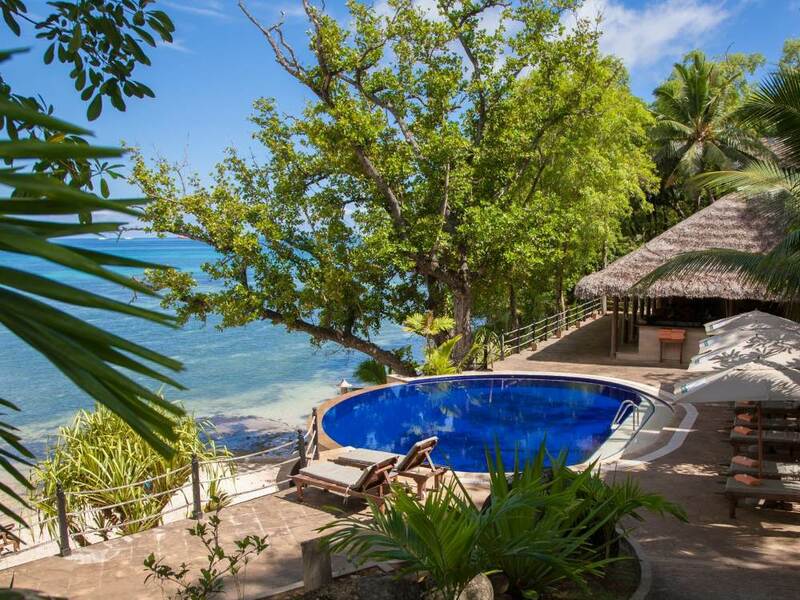 The resort certainly occupies a lovely spot with the 24 spacious and stylish villas built on the densely wooded hillside that lies above a lovely sandy beach enjoying views across the sea to Victoria and Mahe's east coast. The beach is quite small but very nice,and considering that there are only 24 villas and that the lodge is isolated you are unlikely to ever feel overcrowded. From the beach, you are only a few meters away from the first coral reefs where you can snorkel amidst tropical fish, rays, and if you’re lucky, perhaps even some turtles! Just above the sandy beach with its comfy sun-loungers there is a lovely swimming pool built into the granite boulders and surrounded by huge takamaka trees that provide welcome shade and respite from the heat of tropical sun. Next to the swimming pool you will find the Pool Bar offering light snacks and an afternoon menu of fresh juices and beverages whilst the Cocktail Bar has a selection of traditional and international cocktails to tempt your pallet. 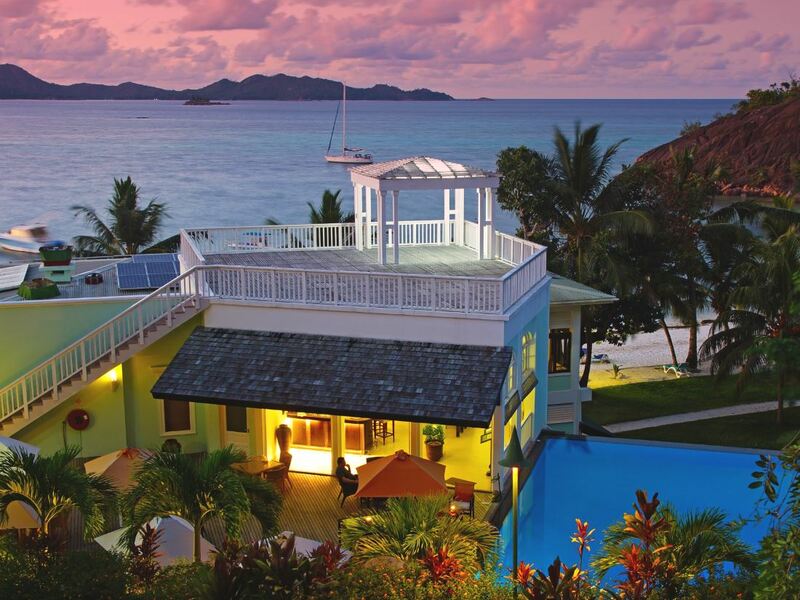 Then there’s the 1756 Restaurant which also overlooks the sea and boasts a 180° ocean view of the entrance to the Marine Park, St Anne and Mahe – both traditional Creole as well as international cuisine is on offer here. But if you fancy a more private dining experience the staff will be happy to set up either in your villa or perhaps on the beach with your toes in the sand. Small paths wind away from the main reception area and up through the trees where you will find the 24 villas hidden away amongst the lush vegetation. There are 3 room types here – 12 Hillside Villas, 7 similar Hideaway Villas which enjoy more secluded positions, and the 5 Tortoise Suites which add a separate lounge area (which can also double as a second bedroom) The timber and stone villas are all beautiful and exhibit the same décor and style with thatched roofs and shady verandas and lovely polished wooden floors. 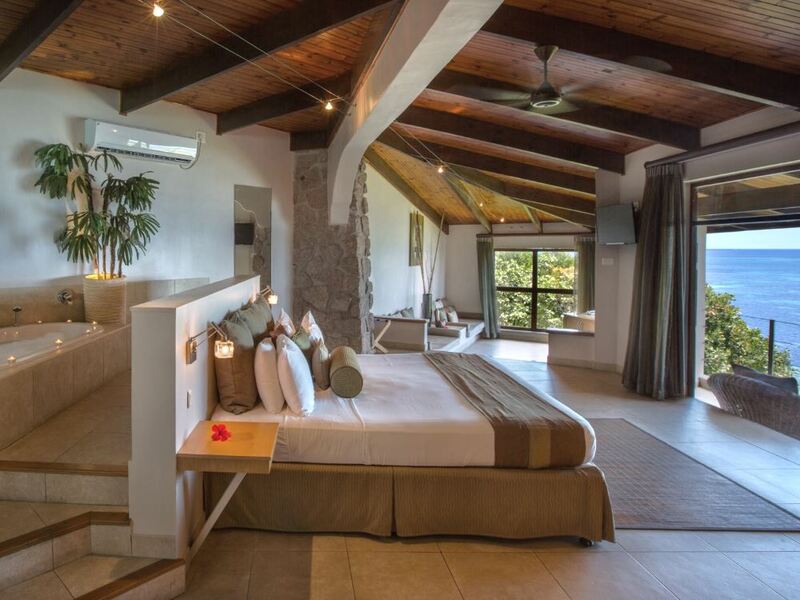 Luxuries abound with fine linen, air-conditioning, satellite television and DVD player – another highlight are the gorgeous bathrooms with their pale stone floors, his ‘n’ hers basins, Molton Brown toiletries, corner baths, showers and loads of fluffy towels. For many guests the overwhelming tranquility of Cerf Island Resort with no noise from traffic or passersby will see them spending most of their time there either around the pool or in their villas – not to mention taking advantage of the Spa with its range of pampering massages and treatments. However if you’re wanting to get out and about there’s plenty that can be easily enjoyed. A firm favourite is to take one of the resort’s kayaks and paddle around the island and find an idyllic private beach to enjoy on your own; or you can paddle deeper into the Marine Park and enjoy some stunning snorkeling around the tiny islands that dot the bay. Climb the path up through the forest to the view site above the resort and you’ll be rewarded with spectacular views of surrounding islands like Moyenne, St Anne, Round and Long islands. Of course with Mahe being just 15 minutes boat ride away it’s also easy to arrange to head over for some retail therapy in the markets and shops of Victoria or even to arrange a tour of the main island. Scuba diving, deep sea fishing and sailing are just some of the water-based activities also available.